Murdoch University has an outstanding reputation for Marine and Environmental Science. It was the first university in Australia to offer environmental science and the first in western Australia to offer marine science. Home to the Centre for Fish and Fisheries Research with strong links to the Western Australian Marine Science Institute, the University owns the Coral Bay Research Station located on the World Heritage-listed Ningaloo Reef where the field study portion of this program will be located. Transcripts are issued by Murdoch University in Perth. An official transcript will be sent directly to the student’s home university on completion of the program. Ningaloo Reef is Australia’s longest fringing coral reef and one of the world’s largest. This broad-ranging advanced marine biology unit provides an opportunity to study tropical marine biology and ecology in a coral reef setting. 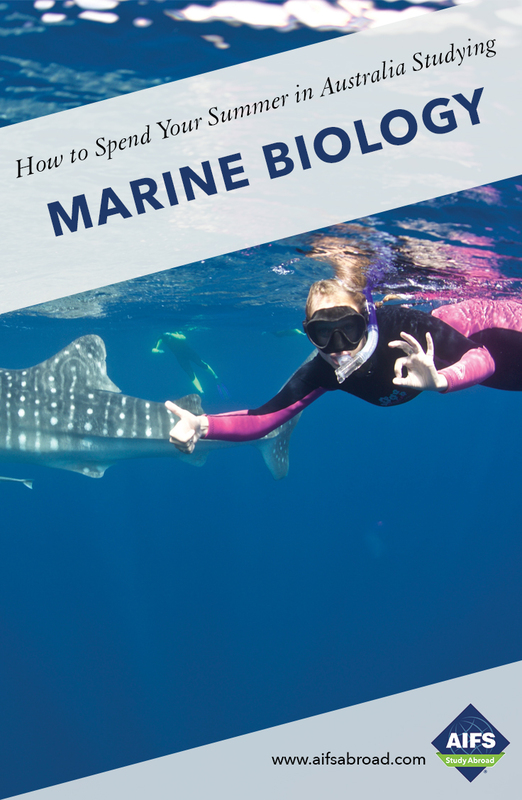 It introduces Western Australian biogeography and habitats, covering advanced topics in biology, physiology and ecology of marine plants and animals. Human impacts and conservation of tropical marine environments will be addressed. The field camp will provide training and experience in field techniques. The course includes a 10-day intensive field camp to Coral Bay, 15 hours of theory class on campus at Murdoch University in Perth and 2 laboratory classes and computer workshops. Prerequisites: This is a final year course at Murdoch University therefore interested AIFS students should ideally have completed 2 general biology units and be majoring in a related scientific field. Reading: A Tropical Marine Biology unit reader containing all lecture notes will be provided on a USB stick on arrival in Perth.